Easy, Cute, and Delicious. 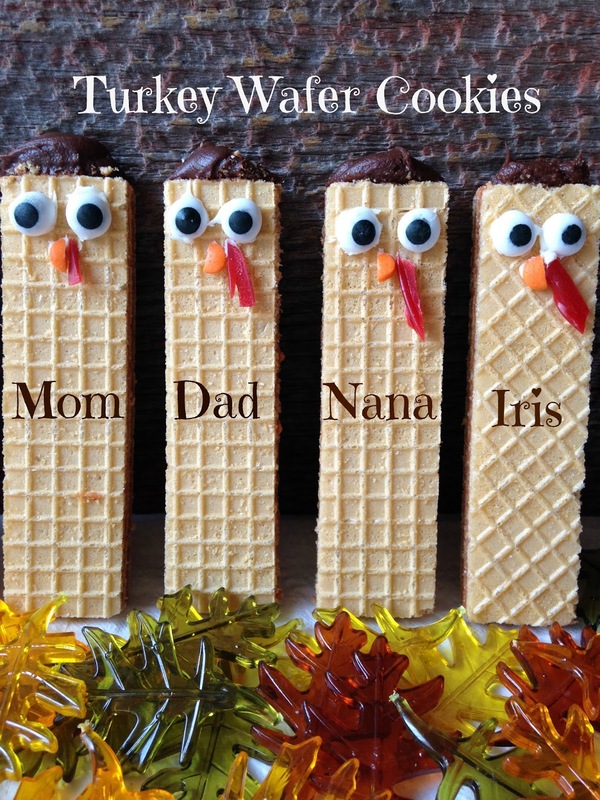 Turkey Wafer Cookies will make an eye catching “place card” “name card” or “seating card” on your Thanksgiving day dinner table. Use icing gel to write the name of each guest on the bottom half of the wafer cookie. 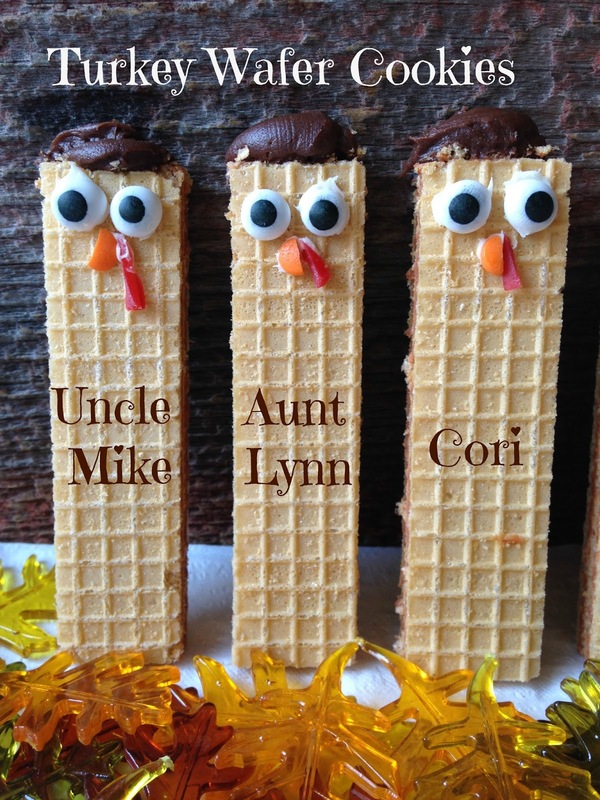 This is a great way to involve the kids in the holiday festivities. Gobble Gobble. Lay wafer cookies on a flat surface. 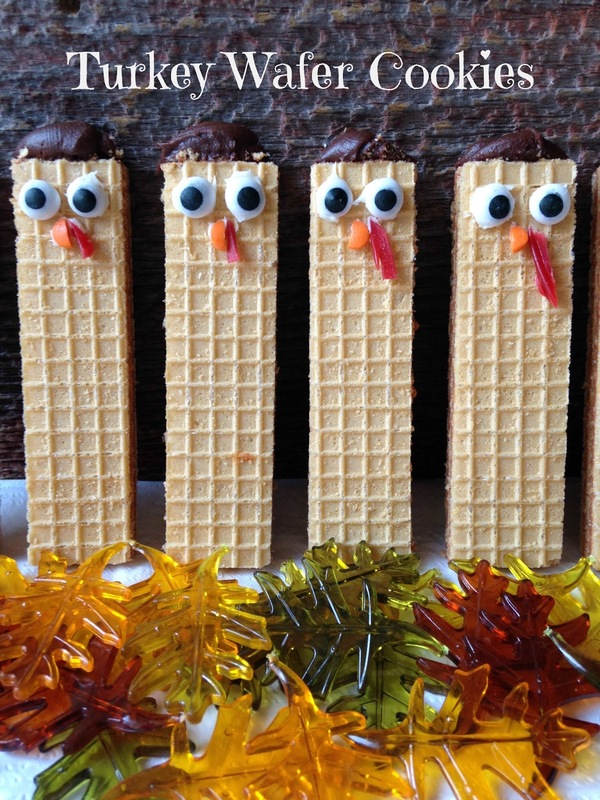 Use a small amount of vanilla frosting to “glue” eyeballs on wafer cookies. 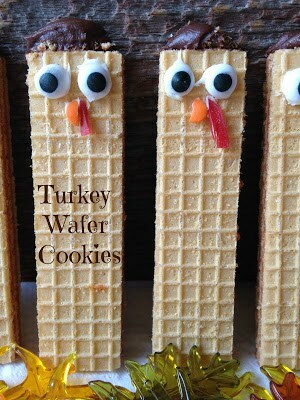 Use a small amount of vanilla frosting to “glue” orange sunny seeds on wafer cookies for beak. Cut red licorice into small strips. 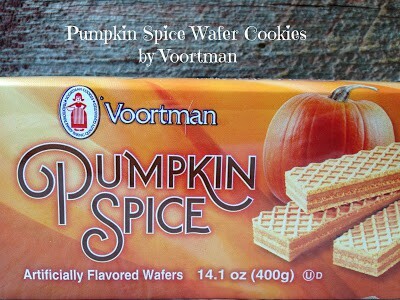 Use a small amount of vanilla frosting to “glue” piece of licorice on wafer cookies for wattle. 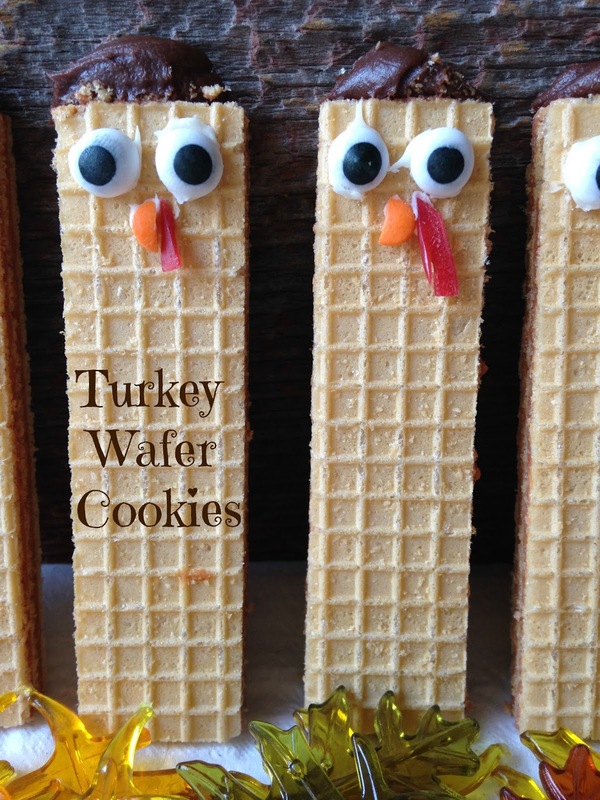 Use a knife to add a small amount of chocolate frosting to the top of the wafer cookies. 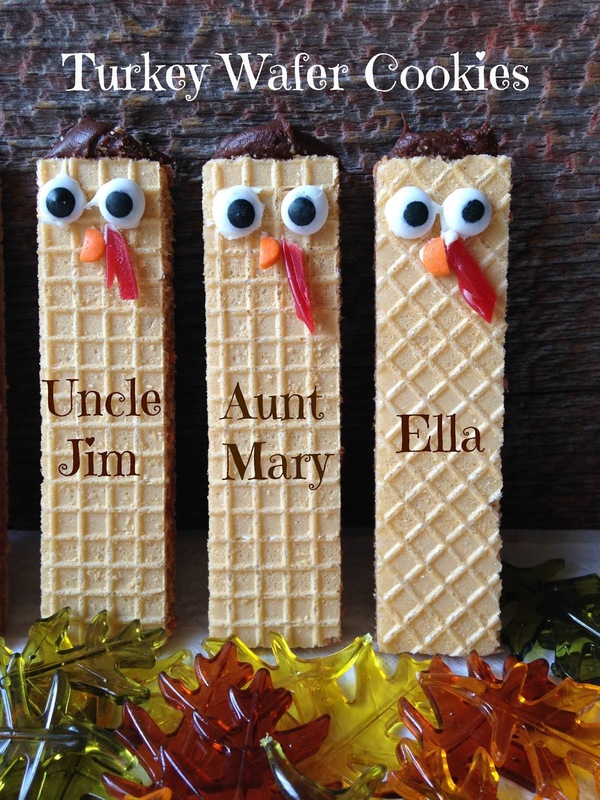 Using orange and brown gel frosting to “write” names on the bottom half of wafer cookies. *This is not a sponsored post. Here at Turnips 2 Tangerines we enjoy passing along to our readers products that we like and that we use. 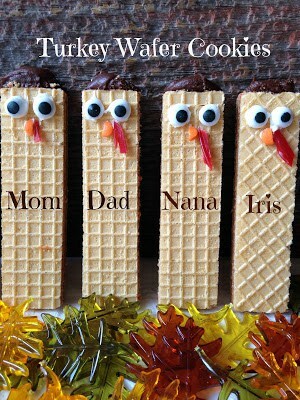 Your Turkey Wafer Cookies look adorable! Hope you are having a wonderful week and thanks so much for sharing with Full Plate Thursday.